Mrs. Azza Abdel Hameed founded in 1997 Nida Society for the rehabilitation of children with sensory communication disorders where she served as a chairperson (a full-time volunteer) for over a decade. What started as a registered NGO in Cairo with only three children, is now the first nursery for children with hearing impairment licensed by the Ministry of Education in Egypt. Nida Society was the first in Egypt to introduce the Verbotonal method, which teaches children how to communicate without the use of sign language. Over 600 children with hearing impairment disorders have been integrated into mainstream education, and 2500 marginalized family members benefited from the rehabilitation programs. In 2002, Nida established the first deaf-blind unit in Egypt and extended its expertise to reach Syrian, Saudi Arabian, and Yemeni children. In 2016, a new branch was established in Alexandria. 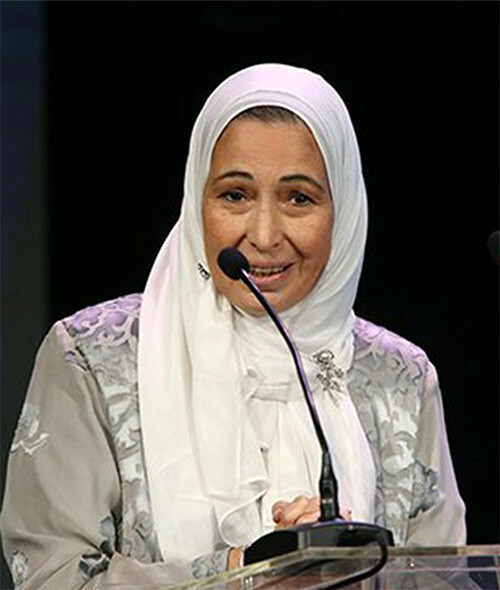 Mrs. Azza Abdel Hameed also founded “Wataneya Society for the Development of Orphanages” in 2008, to address the urgent need for reform of institutional homes in Egypt with a special focus on orphanages. It is the first NGO in Egypt to introduce the internationally accredited vocational qualification in childcare in Egypt for professionals working within institutional homes. Wataneya Society was recognized as one of the best 6 practices worldwide at the 10th cycle for Dubai International Award for Best Practices to Improve the Living Environment. Mrs. A. Hameed’s vision, pioneer solutions and activities provided by both NGO’s, positively impact both the children with hearing impairment, their families, teachers and the orphans and their caregivers.